Helen (Huszar) Angyal of Milk River, beloved wife of the late Steve Angyal, passed away peacefully with her family by her side after a valiant battle with Alzheimer’s Disease. Helen was born on July 20, 1929, in Hungary to Frank and Theresa Huszar, their second child and only daughter. She came to Canada in 1938 with her mother and her brothers Simon and John to join their father in Rosedale, Alberta. The family later moved to Lethbridge and Helen worked at the Lethbridge Laundry where she met some of her lifelong friends. In 1945 Helen was introduced to Steve Angyal who was home on leave from the army. He had come with his parents to visit the Huszar family who were from the same village in Hungary. They were married on Remembrance Day in 1946 and celebrated their 67th anniversary before Steve’s passing in 2014. Steve and Helen settled on the farm in 1-17 west of Milk River and raised five children while growing the farm. Helen learned to be a terrific cook, baker and hostess. She escaped to the garden when she needed peace and quiet. 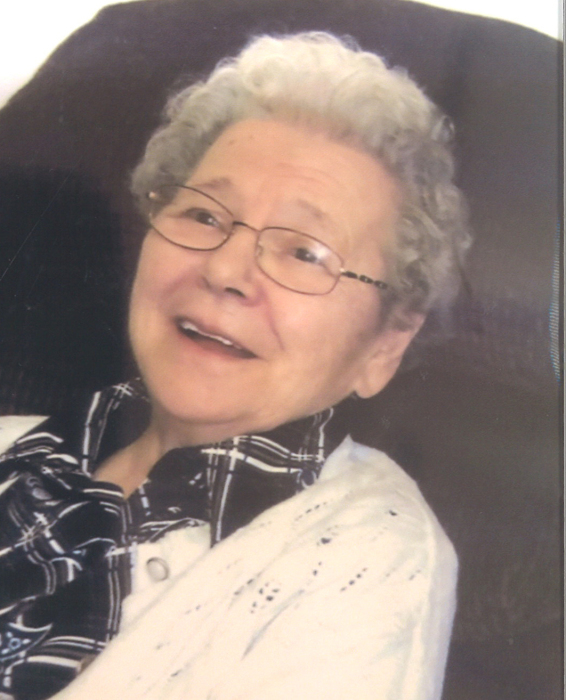 As well as being a devout Catholic, she was a member of the CWL and earned her 60-year pin. She and her friends established a Birthday Club and enjoyed every celebration. When they moved into Milk River in 1980, Helen learned to play golf and volunteered at the Travel Alberta site. Helen always had a good book to read and she loved to dance and listen to music. She and Steve travelled extensively but the highlights of her life were family events and spending time with her grandchildren and her great grandchildren. Helen is survived by her children Christine Barnhart, Ron (Barbara) Angyal, Kathy (Gord) McCarthy, Sheila (John) Mazutinec; nine grandchildren; sixteen great grandchildren; her brother Frank (Grace) Huszar and numerous nieces and nephews. Besides her loving husband Steve, Helen was predeceased by her son Greg, parents Frank and Theresa Huszar, and brothers Simon and John. The family would like to thank the staff at the Milk River Health Centre for their excellent care and for making the last nine years of Helen’s life happy and comfortable. Her family is forever grateful for the kindness and professionalism. Vigil Rights (Prayers) will be held at 7:00pm, on Friday, March 1, 2019, at ST. PETER’S CATHOLIC CHURCH, 301 Main Street NW, Milk River, AB T0K 1M0. A Funeral Mass will be celebrated at 11:00am, on Saturday March 2, 2019, at ST. PETER’S CATHOLIC CHURCH, 301 Main Street NW, Milk River, AB T0K 1M0, with Father Alphonse Narisetty officiating. A private Family Graveside Service will be held in the Milk River Cemetery. The Family kindly requests that you please refrain from wearing scented lotions or perfumes due to allergies. For those who wish, memorial donations may be made to the Milk River Health Centre, PO Box 90, Milk River, T0K 1M0, for the new Sensory Room that is to be used by Alzheimer and Dementia patients, or to the charity of your choice.